The destructive impact of sleep apnea can make everyday life challenging for sufferers, even potentially worsening serious health conditions such as diabetes, stroke, hearing loss and cardiovascular disease. Fortunately, modern dental solutions are available to treat this disorder and restore your quality of life. If you suffer from obstructive sleep apnea and are looking for an effective CPAP alternative, you might be a good candidate for a special oral appliance called a Mandibular Advancement Device (MAD). Sometimes called a sleep apnea mouth guard or anti-snoring device, this custom dental appliance is designed to treat mild-to-moderate cases of sleep apnea. By opening the area in the back of the throat it creates an airway and prevents the cessation of breathing that occurs during sleep apnea. Over time, these symptoms can lead to serious, life-threatening health complications. When visiting our dental clinic in Scarborough you’ll receive a thorough examination and consultation from a dentist who’s been proudly serving the community for more than 30 years. If it’s determined that you may suffer from sleep apnea, we’ll ask your doctor to approve an in-lab sleep study and consultation. The Sleep Doctor will interpret the results of the study and advise an appropriate solution for you. If appropriate, the specialist will refer you back to our office for treatment. We have in-depth knowledge of the types, symptoms and treatments of sleep apnea.  Upon consultation with your doctor, you may be advised that certain lifestyle, weight and dietary changes can improve your ability to get a good night’s rest. For more persistent problems and with direction, we can fit you with a custom Mandibular Advancement Device. This oral appliance is a popular sleep apnea solution for those unwilling or unable to wear a CPAP mask. What are the advantages of an oral appliance over a CPAP machine? Whereas a CPAP machine requires the patient to wear a mask attached to an air compressor, oral appliances offer a soundless and much less intrusive solution. This also benefits the sleep partner. The compact size of a sleep apnea mouth guard makes it easier to travel with and won’t inhibit movement during sleep. CPAP machines can also cause dryness of the mouth and sinuses. Over the long term, CPAP machines and sleep apnea oral appliances are cost comparable solutions. Are sleep apnea mouth guards comfortable? A sleep apnea mouth guard can cause jaw tenderness, tooth movement, change of occlusion, dryness or increased salivation. However, in some patients these side effects are only temporary as they adjust to the new appliance. To minimize discomfort and ensure the best results, it’s important to trust a dental professional experienced in sleep apnea treatments. This will lead to a proper fit for the appliance, which can only be used by patients with healthy teeth and gums.